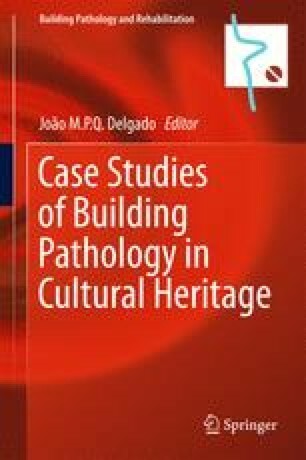 This study aimed to raise and identify existing pathological manifestations in the Regional Olympic Stadium Arnaldo Busatto of Cascavel city, PR. From these conditions located in different inspected levels, we sought to detect their probable causes to promote greater understanding of the causer mechanisms as much of their outcrops and evolution. The proposed method consisted on a survey data, which showed visible anomalies with subsequent appointment of causes of problems. It is possible to realize that the knowledge of the causes that induce appearing of symptoms coupled with awareness that providences of preparation of idealization steps, project, execution, and post-execution represent the reduction of a significant portion of the expenses in relation to recoveries. Regarding that the understanding of mechanisms of deterioration becomes central tool in the treatment of pathologies.